To many, Jacques Kallis is one of the greatest all-rounders ever to have played the game. To some, he is quite simply the greatest cricketer of all time. He has scored 43 Test hundreds, as well as 17 in limited-overs games, and has amassed more than 24,000 international runs in total. Test Match Special pundit and former England captain Michael Vaughan says that, technically, there is no better batsman in world cricket. In the field, he has taken in excess of 500 international wickets and well over 300 catches. This summer, at the age of 36, he was part of a South Africa side that at one stage topped the world rankings in all three forms of the game, Test, ODI and Twenty20. But despite these achievements, one thing has continued to elude him - a major trophy. In the World Cup semi-final at Edgbaston in 1999 when Allan Donald failed to run, Kallis was there, making a half-century that should have secured the Proteas a place in the final. He was there once more in 2003 when a Duckworth-Lewis mix-up meant the hosts were dumped out of the World Cup in the group stages. And Kallis was again an integral part of the squads that failed in 2007 and 2011. Nor has the World T20 produced happy experiences for Kallis. He was left out of the squad that was eliminated at the Super Eights stage in 2007, but was back for the tournament in 2009 when the Proteas were beaten in the semi-finals by eventual winners Pakistan. In the Caribbean a year later, Kallis opened the batting as they again fell at the Super Eights stage, overwhelmed by England in Barbados. In fact, the Proteas have never won a knockout match in a major tournament. It is a miserable record. 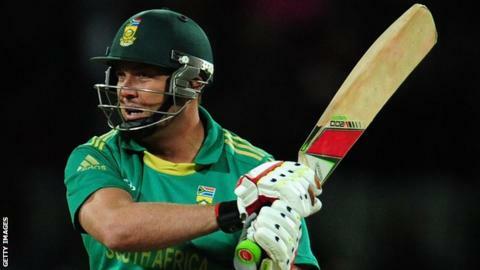 And, of course, it is one that Kallis is determined to change. "We're hoping so," he told BBC Sport. "Unfortunately we haven't quite crossed the line in previous years. I think we won the first ICC Champions Trophy in Bangladesh many years ago [in 1998]. Since then it's been pretty dry and disappointing." While previous South Africa sides have scoffed at suggestions the team has "choked" at major tournaments, the current outfit are prepared to confront the dreaded tag - "We have choked in the past and we know about it," admits captain AB de Villiers. As a result, Kallis says, the team are taking a slightly new approach in Sri Lanka. "We're just trying to focus on stuff we can control at the moment. We have a few different things in place in this tournament and hopefully those things will bring out different results," he said. However, given the form South Africa have shown over the past 18 months, Kallis believes the only satisfactory outcome is walking away with the trophy. "For sure. We just have to keep doing what we've done over the last few years. We've played some really good cricket and if we carry on doing that it gives us the best opportunity," he added. Kallis will turn 37 a week after the end of this tournament, but is showing no signs of letting up, winning the man-of-the-match award after taking 4-15 in Thursday's thrashing of Zimbabwe, a performance he believes showed South Africa mean business. "We are fighting for the trophy. We started off perfectly. Our two opening bowlers got us off to a great start, and the rest of the guys came in and did their jobs." The 32-run victory over Sri Lanka a few days later was equally as impressive and means South Africa go into the Super Eights as one of the teams to beat. Despite his veteran status, Kallis wants to carry on playing until the next World Cup in Australia and New Zealand in 2015, and admits that the possibility of winning that elusive major trophy is driving him on. "Obviously the cherry on top of my career would be the 50-over World Cup," he said. "But the T20 would be a great start. To be part of a team that wins a tournament like this would be something that all of us have worked hard for. You don't come into this tournament to lose." There is ball-by-ball commentary of South Africa's second match of the Super Eights against Australia on Test Match Special on 5 live sports extra and Radio 4 Long Wave from 10:45 BST on Sunday.